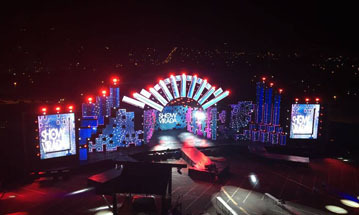 We provide optimal turnkey solutions to our clients, including commercial advertising LED display, event LED display, television media LED display, sport stadium LED display products, etc. Each year, we supply lots of products worldwide. Our goal is to bring unforgettable and useful products to the clients and help them to grow their business. We are always 24/7 ready for you. Home > Information > What is white balance? White balance is one of the most important indicators for LED display. For LED display, it will show pure white color only when three primary colors (red, green and blue) are pure red, pure blue and pure green and their color ratio meets 3:6:1. If the actual proportion is different or the three primary colors are not pure, the white balance will have deviation. There are some factors will affect the white balance of LED display. LED quality is one of the main factors. if the LED is using bad LED material (especial bad LED chip & bonding wire) for encapsulation, the wave length of each LED is with big difference, and then they will appear different colors. That would cause bad white balance. How to make your advertising product more Intelligent? How to fix LED pixel?